Hi my name is Rufus. My current owner is sadly unable to keep me at her new residence. 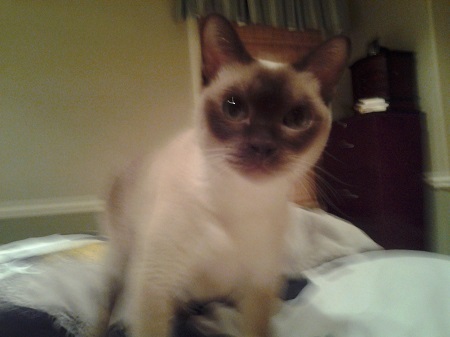 I am an awesome,affectionate,smart & loving Tonkinese male 8yrs old indoor cat. I love to sit on your lap; enjoy your company & am an active cat that loves chasing feathery toys on a wand and enjoy being up high on my scratching tree to look outside. I will give you kisses with my nose to let you know how happy I am to be with you. I prefer to live with people that currently have no pets.